Now in its third year, this competition invites suggestions from all-comers to renovate disused and abandoned spaces across the capital. 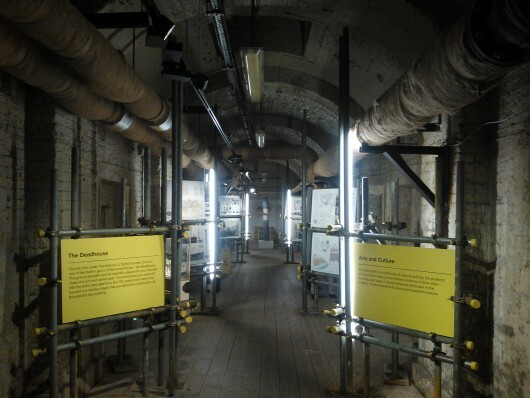 Somerset House are displaying the shortlisted 26 finalists’ entries in this engrossing exhibition – finishing soon on the 10th. From the realistic to the faintly crazed, there are some great ideas on show here. Sadly the prize is just a small wadge of cash with no guarantees of any of the projects actually going ahead. 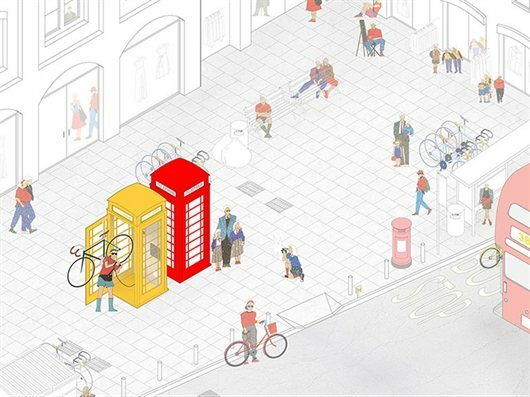 But it’s thought provoking and will hopefully make developers and civic planners think a bit more radically about how we use public space. 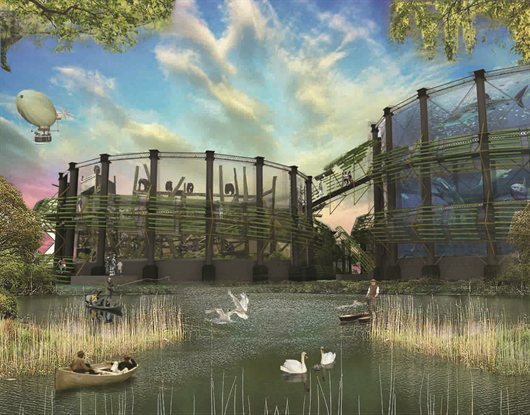 Gas holders are a popular choice to overhaul this year, including a suggestion to turn the seven of Bromley-By-Bow Gasworks into a zoo. 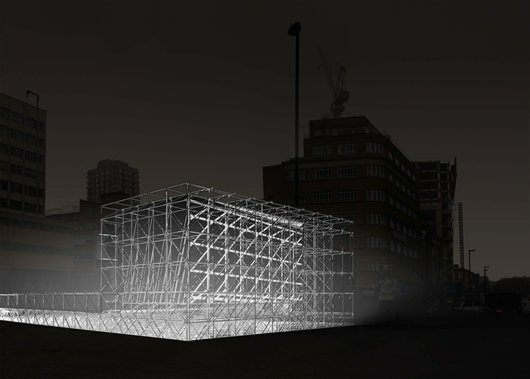 Four separate ideas for a vacant plot underneath Silvertown show the breadth of ideas that can be dreamt up for a single space. 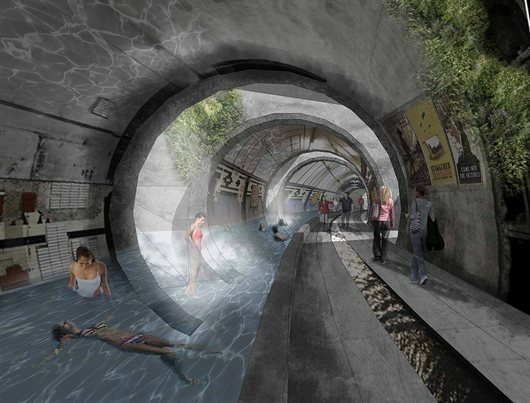 But our favourite has to be from ‘Team Growler’ – to convert the disused Aldwych underground station into a public bath, leading all the way down to a viewpoint at the Thames. Please, somebody get behind this! 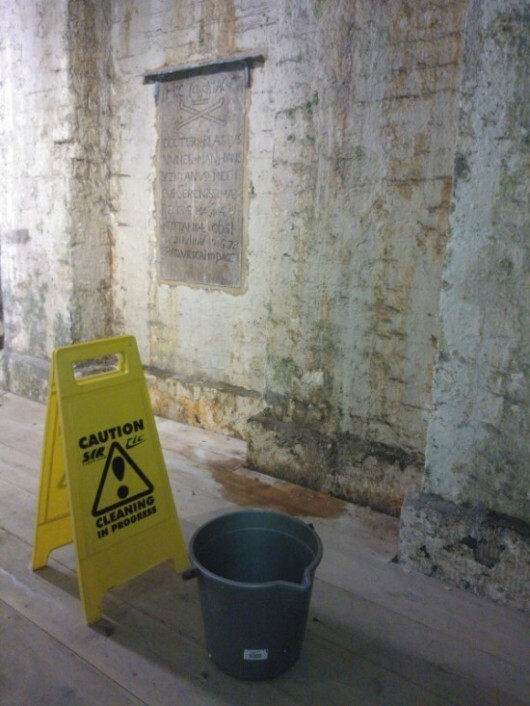 Somerset House have entered into the spirit of things by displaying the exhibition in the Deadhouse, a leaking crypt-like tunnel with overheard ducts and a few gravestones, buried in the depths of the building. This is a simple show – ideas are presented on whiteboards with a few models and installations in cubby holes for extra visualisation – but the interest lies in the imagination displayed by the entrants. We’d recommend trying to snaffle a return ticket for the sold-out Pecha Kucha on Thursday night – 6.45pm at Somerset House.